Researchers from Design Lab have presented two papers at the the 34th Annual ACM Conference on Human Factors in Computing Systems (CHI 2016). The conference took place between 7-12 May 2016 in San Jose, CA, USA. 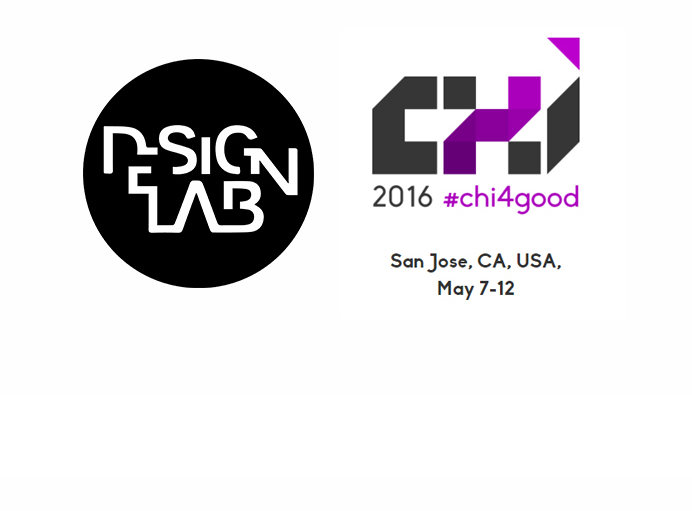 Researchers from Design Lab have attended the conference to present their work. The first paper, “Head Mounted Projection Display & Visual Attention: Visual attentional processing of head referenced static and dynamic displays while in motion and standing” by Çağlar Genç, Shoaib Soomro, Yalçın Duyan, Fuat Balcı, Hakan Ürey, and Oğuzhan Özcan investigates the effects of dynamic and static graphical user interface elements projected via head mounted projection displays on cognitive performance of their users while they are in different mobility states (i.e. walking and standing). The second paper, “Sensation: Measuring the Effects of a Human-to-Human Social Touch Based Controller on the Player Experience” by Mert Canat, Mustafa Ozan Tezcan, Celalettin Yurdakul, Eran Tiza, Buğra Can Sefercik, İdil Bostan, Oğuz Turan Buruk, Tilbe Göksun, and Oğuzhan Özcan explores the potentials of mediating social touch and face-to-face interaction in gaming through the use of a novel device, Sensation, which is developed for detecting different touch patterns between people.